Published: October 18, 2018 13:01 Pratyush Sarup, Special to tabloid! Till not very long ago, the thought of marble evoked the horrors of a contrasting borders in antiquated rooms; marble was longer the material of nobility, but more a symbol for the nouveau riche. But just as trends are cyclic, the stone is back in vogue and in the hands of these designers, finds itself restored to its former glory, this time with a modern stance. 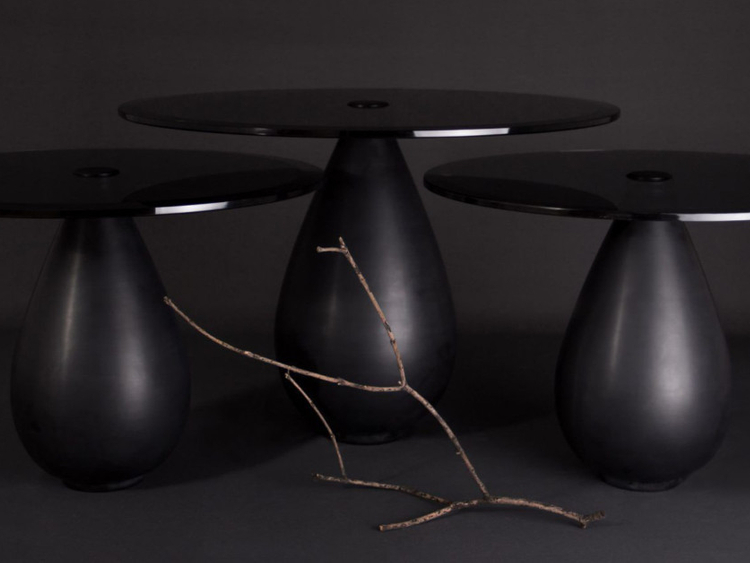 Characterised by its droplet shaped Mexican black Orizaba marble base, the Mura table was launched this week at Mexico City’s Expo Reforma. The duo behind Bandido Studio — Alejandro Campos and Joel Rojas — found the inspiration for the table’s distinct base in the craft history of the Mexican town Tecali de Herrera, whose artisans have been known for their skills with marble and volcanic stone. They enlisted the expertise of Meza, a workshop which practised marble turning for four generations, to bring their vision to life. They join the growing ranks of Mexican designers marrying the country’s rich natural with its historical practices. The Australian designer recently unveiled a 50-strong collection of home objects and interior accessories. 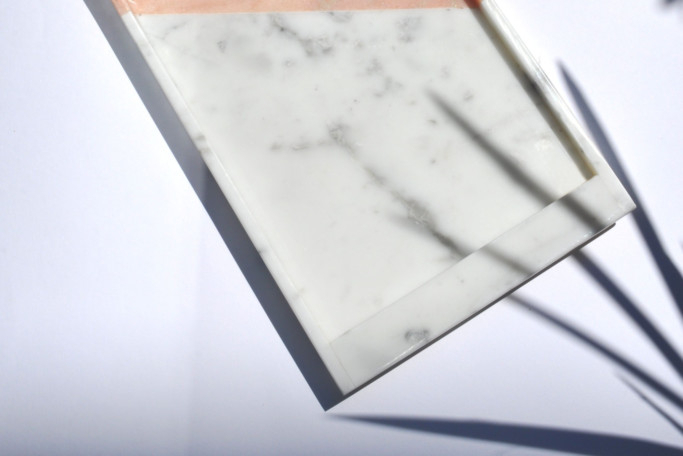 Having previously worked on home furnishings, for his debut range of accessories, he decided to celebrate the naturally occurring variants in marble that make it so unique — pattern and colour. The collection that features bowls, bookends, ashtrays, coasters, trays and vases was inspired by the gap he experienced in the high-end home accessories market when designing for clients. Over three years, he refined the form, proportions, production of each piece with the same eye for detail he applies to interior projects. As a result, his coveted take on modern luxury sees marble further elevated with the use other rare materials such as dry shell and brass. Through product design, the Lebanese studio Saccal Design House continually explores different mediums and materials to drive emotion. Founded in 2014 by architect sisters Nour and Maysa Saccal, the studio is defined by products that go beyond mere beauty and tell personal stories of its makers and the region. Known for their work with marble which includes the now iconic essential oils diffuser Censer and Poids Brut, the monolithic marble candle stands, they recently unveiled their new collection of trays that marries the solidity of the stone with a restrained colourway, metallic accents and pared back aesthetic. Ocean Memories, the collection by French Designer for the Carpenters Workshop Gallery builds on his Liquid Marble series, 2013. The new collection features a surreal transition from a fluid top to a solid, monolithic base. 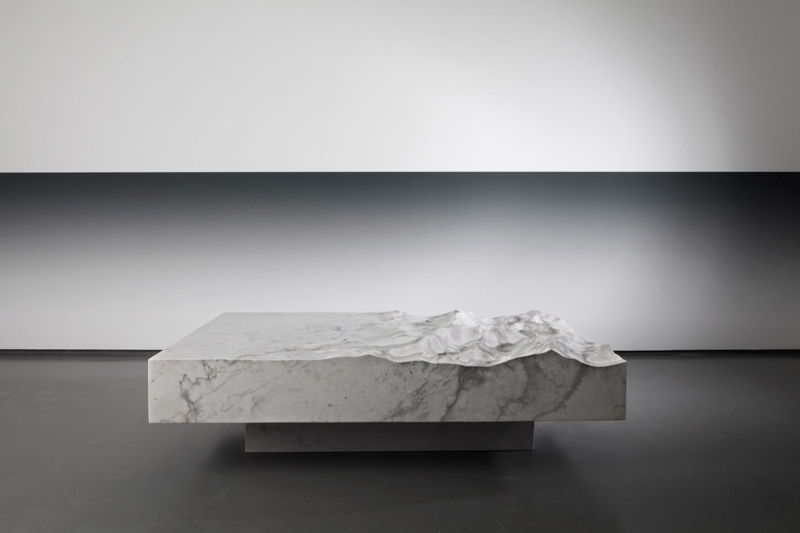 The family of tables, benches and stools in white and grey marble, as well as polished bronze were created using a 3D special effects software — usually used in the film industry — to translate ocean currents into digital form. Then, the stone blocks were machine-cut to digitally to replicate the waves before being hand-polished. 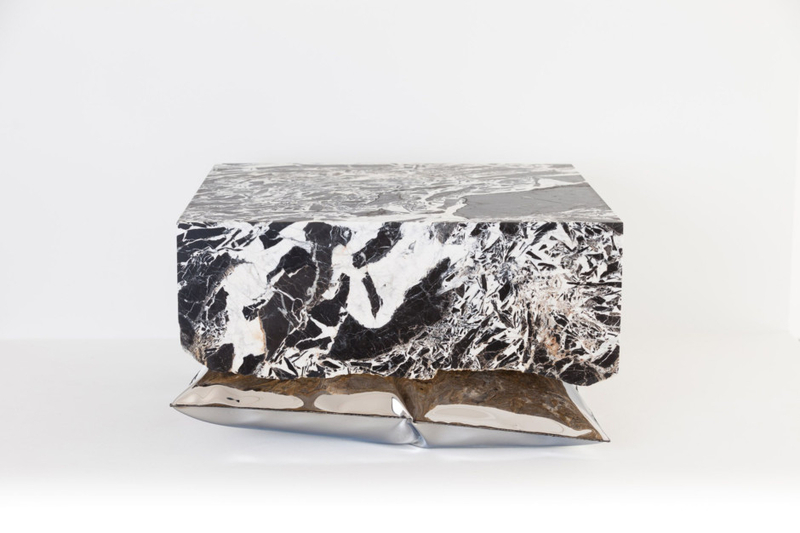 The Belgian designer’s love for storytelling, contrasts and contradictions is evident in his InHale collection, where he quite literally rests a massive marble block on a pillow. Only in this case, the pillow is not duck feather filled, but an inflated metal casing. Wanting to contrast lightness with mass, the collection features marble slabs weighing between 200 and 900 kilograms — all recovered from the waste of a local quarry that had been closed for over a century. The inflated table based were developed used a hydrofoaming technique wherein two pieces metal sheet are welded together and injected with high-pressure air to create a ‘pillow’.